Jakarta, 13th September 2018 – Helicap today announced that it raised US$5 million during its pre- Series A funding round. 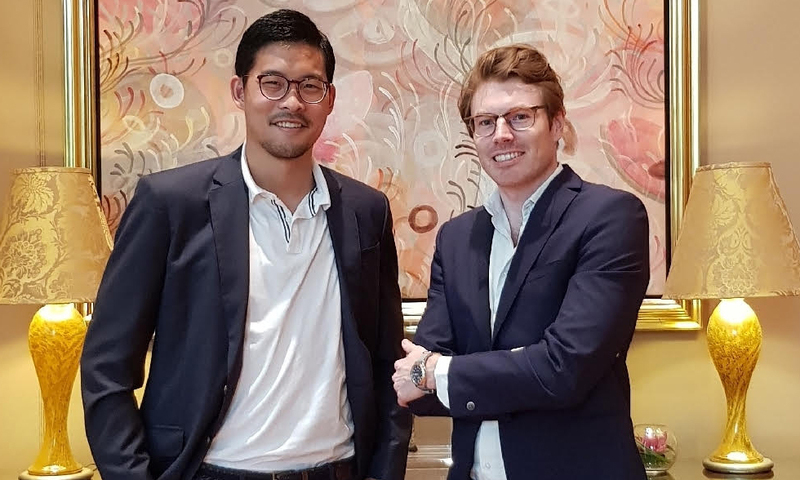 The alternative-lending platform's latest round of funding – led by East Ventures and Singapore’s leading integrated property group Soilbuild Group Holdings – will be used by Helicap to grow its core team and expand its market reach to Indonesia. Through these investments, Helicap will make key hires to tech and data teams to enhance the firm’s data collection capacities. The company will also build and enhance its alternative lending services; namely by bolstering its platforms risk management protocols via improved credit due diligence, analysis, and scoring of its originators’ loans. First established in Singapore, Helicap’s data-powered alternative lending platform aims to fill the credit gaps faced by consumers and corporates who have been conventionally underserved by traditional financial institutions. Via a curated list of 300 licensed platform partners from traditional microfinance institutions to digital lenders, the company helps facilitate lending capital to 400 million borrowers across Southeast Asia and Australia. A pioneer in the regional alternative lending space, Helicap has access to credit data accumulated by hundreds of originators – allowing it a helicopter view of the industry and to generate superior insights in light of its capital allocation. In addition to financial returns, Helicap’s platform indirectly helps thousands of consumers and small businesses in Southeast Asia gain better access to funding. This, in turn, can help accelerate socio-economic growth, especially across the region’s emerging markets by providing quality debt funding in underserved segments. The World Bank’s Global Financial Development Report showed that up to 73 percent of Southeast Asia’s 630 million population do not possess a bank account. This lack of funding by financial incumbents in meeting underbanked communities has led to plenty of untapped and a›ractive impact investment opportunities. Since its deployment in Q2 2018, Helicap has grown its loan book by over 50 percent month-on- month-on-month top-ranked originators based in Singapore, Indonesia, and Cambodia, the firm has also since deployed funding to over 100,000 end consumers and small businesses. With capital raised through its latest funding round and a bigger pipeline, Helicap will be expanding to Phillippines and Vietnam next. The company’s objective is to penetrate underserved yet lucrative markets across Southeast Asia by diversifying its loans portfolio across the region’s various geographies and market segments. Given its double-digit returns, Helicap is also working with fund managers and family offices and expects to raise more capital in the next 12 months, which will be directly deployed into more originators every month. The company expects its curated pipeline to grow towards USD$200 million by the end of 2018. Established in Singapore, Helicap is a FinTech investment company that specializes in the alternative lending space in Southeast Asia and Australia. Its proprietary platform raises and provides scale capital to its origination partners, which reduces the time and frictional costs required to raise stable capital. Since 2017, Helicap has identified hundreds of platform, screened over 50, and invested alongside more than ten lending platforms. Helicap currently screens and accesses data to more than US$200.